Are you looking for a very simple, quick and easy pot-luck food for a buffet or a party that includes kids? Well, look no further. 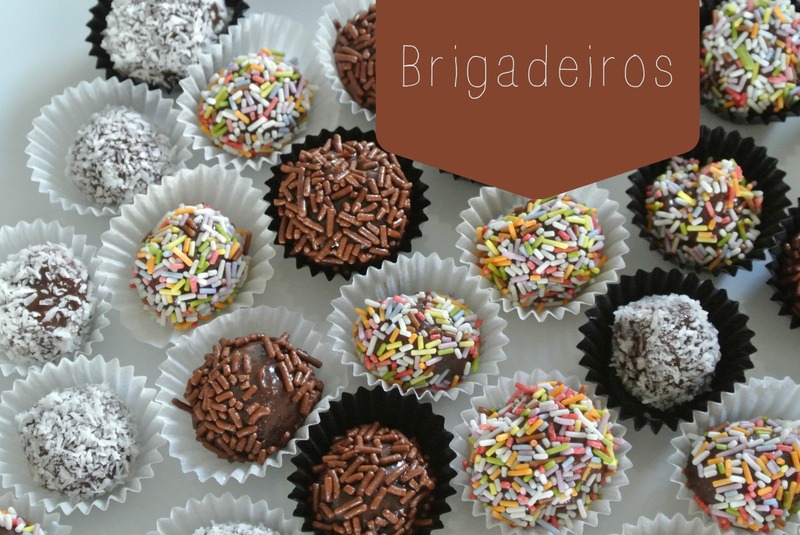 Brigadeiros, condensed milk-based sweets are perfect. Brigadeiros are traditionally served for kids birthday parties. 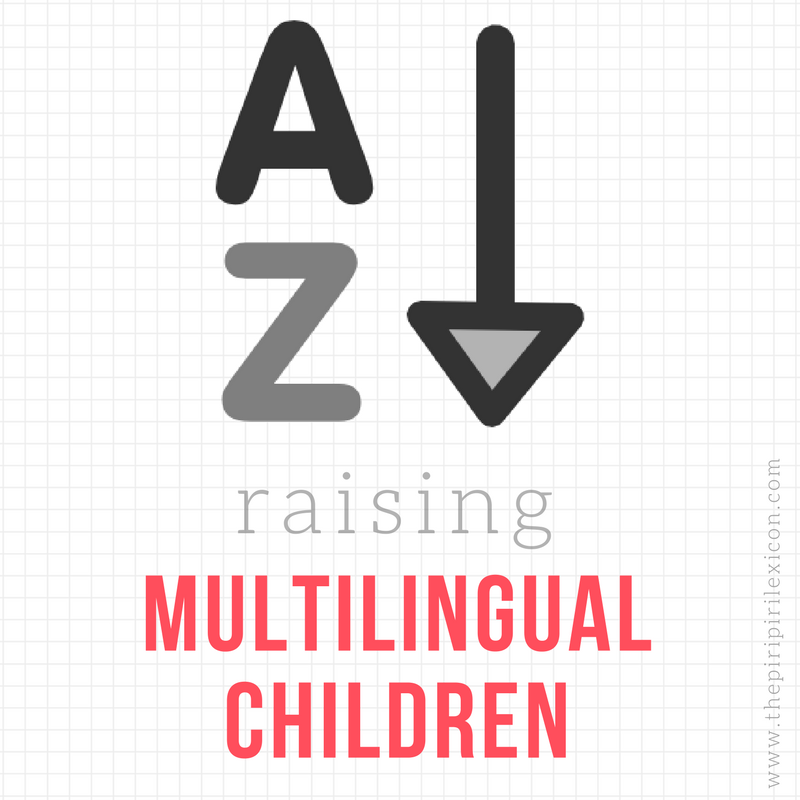 But you can find them everywhere in Brazil. I had my first one last year in São Paulo and was hooked. They are small balls of condensed milk and cocoa covered with sugar sprinkles or nuts. 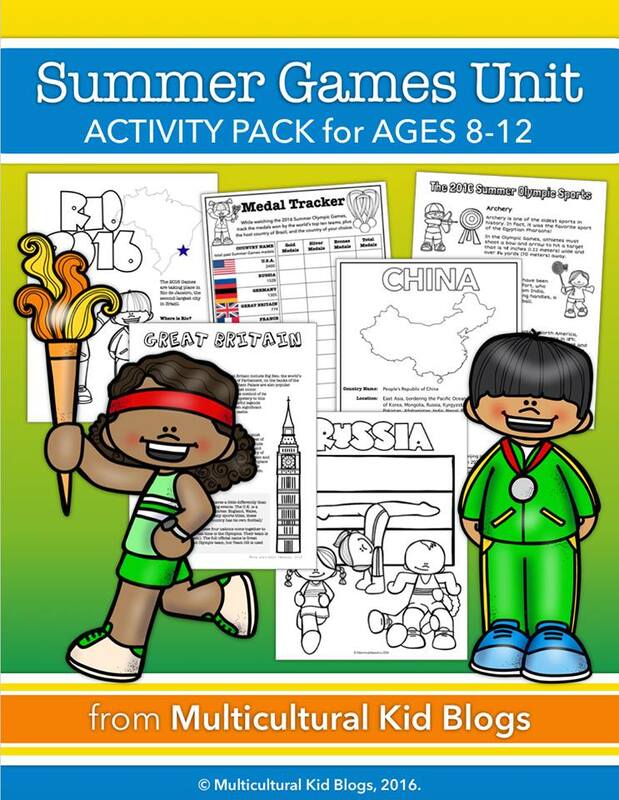 They are super easy to do and great to get the kids involved too. Last week we had to make a desert for our daughter's summer fair international buffet. We decided to make these are we were pretty certain nobody else would make/know them. We had eaten lots in Brazil but never made them. 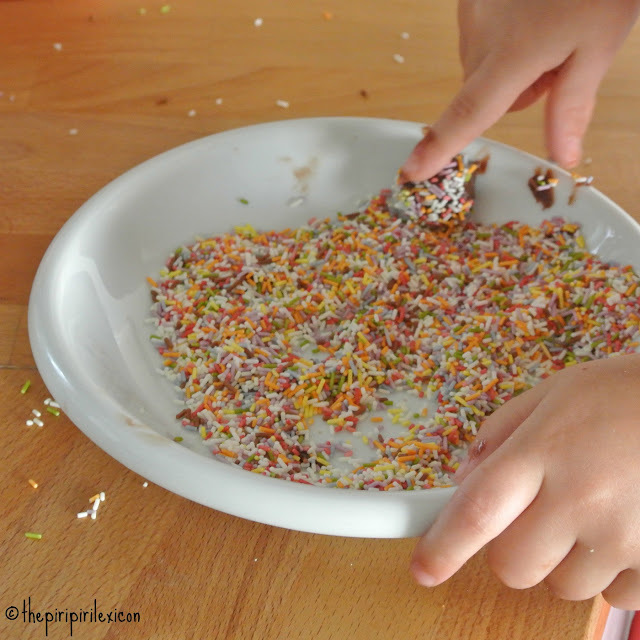 Aft preparing the mixture and cooling it, LJ loved rolling the little sweets in sugar sprinkles. She was really proud to be making these by herself for her friends. And they were a hit. Kids took handfuls at the time. - don't make them too big. Bite size is ideal as they become sticky quickly if held for too long in your hand while eating. - some of the brigadeiros I ate in Brazil were really very very sweet. This recipe is not. - they will keep up to 5 days in the fridge (great for making ahead). And as many toppings as you like. We used coconut, hazelnut, sugar sprinkles. But you can use whatever you like: almonds, pistachios, etc. Grease a large shallow platter or dish with butter. 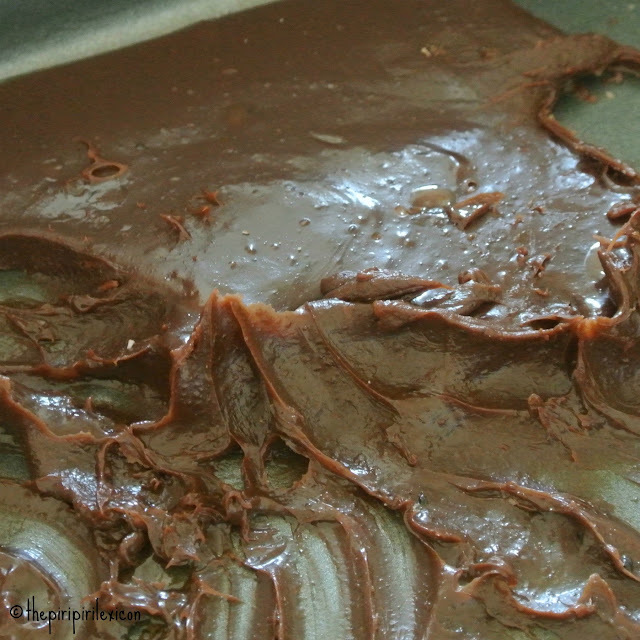 In a saucepan, heat condensed milk, cocoa and 2 tablespoons butter to boiling, stirring constantly with a spoon. Reduce heat to medium-low; cook 10 to 15 minutes, stirring constantly, until mixture is thick and shiny. Pour mixture into shallow pan; cool completely (refrigerate to firm up faster). Use a teaspoon or your hands to scoop the mixture, then use greased hands to shape into small balls. Roll each ball in coconut or sprinkles. Place in mini paper cups. We made them today and LOVE them! Thanks for the recipe! How long do you recommend refrigerating them? I would say a couple of hours at least. Watch out if the weather is hot, they soften quite quickly. But the again, once you take them out of the fridge, everyone will grab them really fast.